A recent client needed help to convert her home office to a baby’s room in her two bedroom apartment. The existing office desk didn’t work anywhere else in the apt, so she thought about getting a new one, as well as an another credenza for additional storage. Before jumping to buy anything new, I prefer to make the most out of the existing storage.After editing, I look at organizing a space like playing the Tile Game; moving things around until they’re in perfect order functionally and esthetically. It’s what I call ‘mapping out the house’. We started with their four closets; deep closet in new baby’s room, two closets in the master bedroom, and the coat closet. 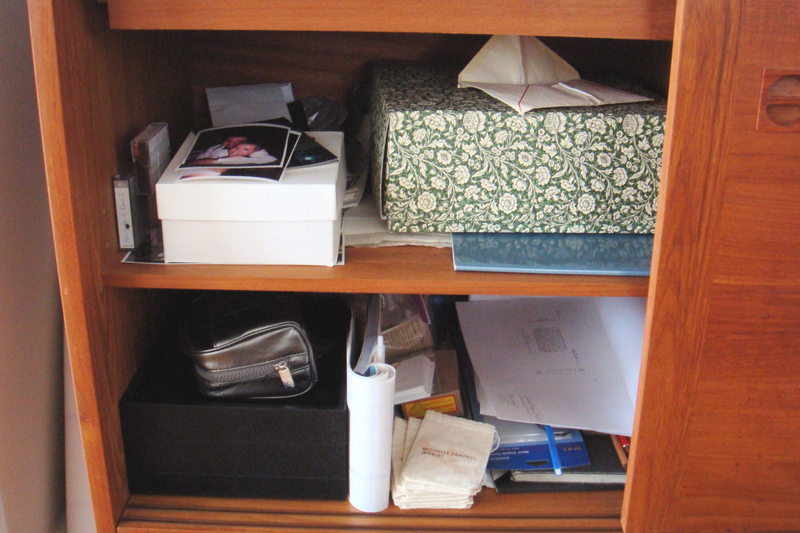 The former office closet held her husband’s clothing and is now the baby/linen closet. The two closets in the master bedroom held all her clothes; the larger for current season plus household linens, and the smaller one for off-season clothes, shoes, bags, and more household linens. The larger now holds all her clothes and accessories, and the smaller is now for her husband’s clothes. 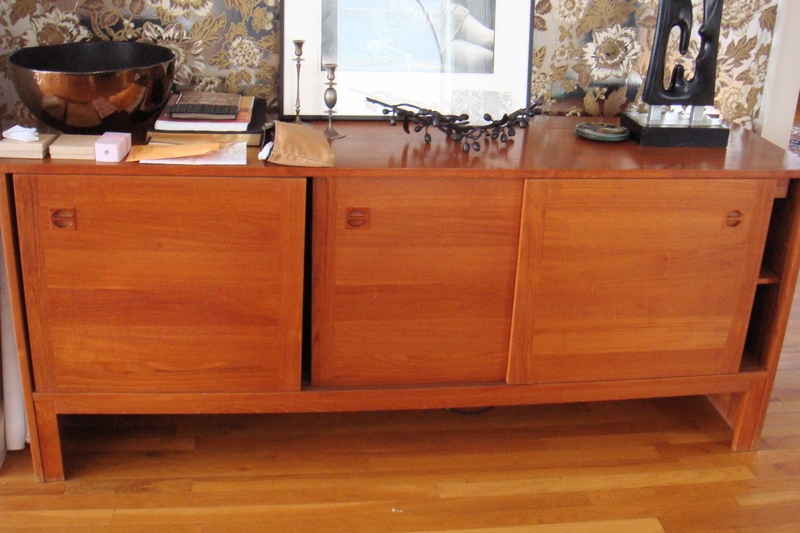 We then focused on her existing living room credenza. 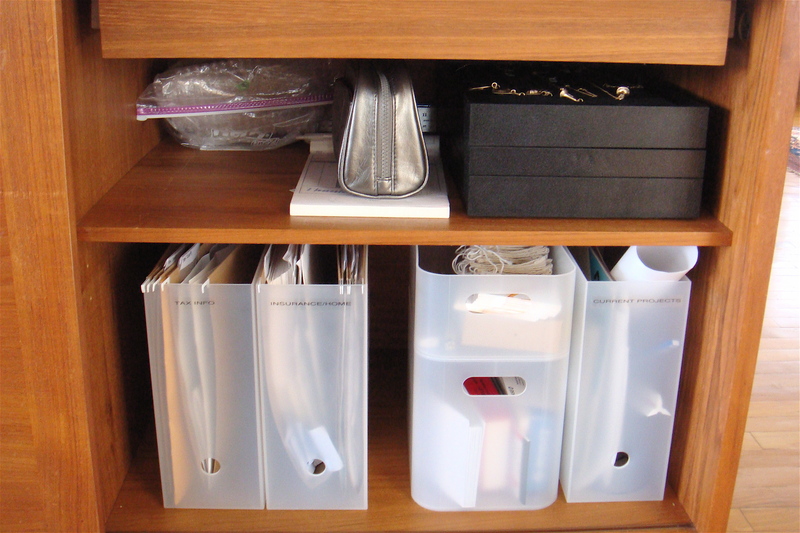 We moved the serving pieces to her small kitchen pantry making room for all the household and her business papers now in Muji file bins (not on the internet), including the misc household manuals that were clogging a kitchen drawer (which is now holding paper napkins, aprons, and towels. sorry I don’t have any pics). In the end to the client’s surprise, no new furniture was needed. Guess who wasn’t surprised by that…. « taking life advice from karl lagerfeld? I love these makeunders too. 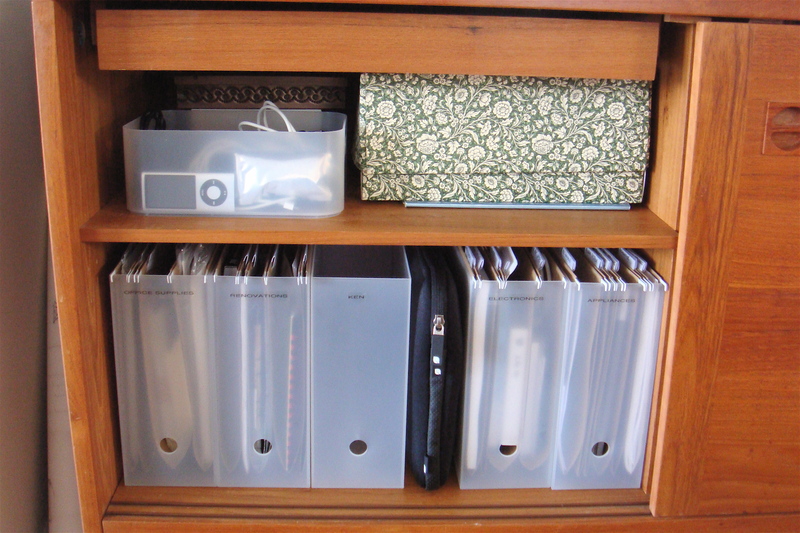 Such great inspiration to simplify and organize.